I read this article and found it very interesting, thought it might be something for you. The article is called Protest the Tacoma LNG Terminal with Steve on June 15 and is located at https://votesocialism.com/protest-the-tacoma-lng-terminal-with-steve-on-june-15/. Steve Hoffman will be at the Puyallup Tribe’s Chinook Landing Marina this Friday afternoon, June 15, calling on the federal and state governments to stop the construction of Puget Sound Energy’s liquefied natural gas (LNG) storage facility. Steve and volunteers will be at the side parking area of the Marina at 1 p.m. The address is 3702 Marine View Dr # 200, Tacoma, WA 98422. Bring signs, loud voices and social media devices! 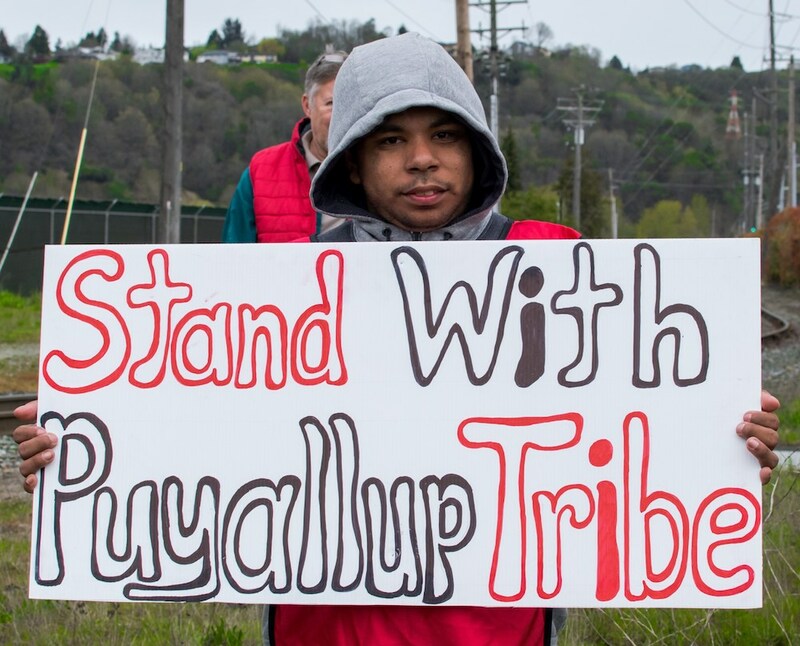 To read more about the devastating impact of the LNG storage facility, read Socialism.com Puyallup tribe and friends battle unsafe fracked gas plant. Also visit redefinetacoma.org or puyallup-tribe.com/lng/ for more information. For more information the day of the action, please call Campaign Manager Doreen McGrath at 206-276-9088.